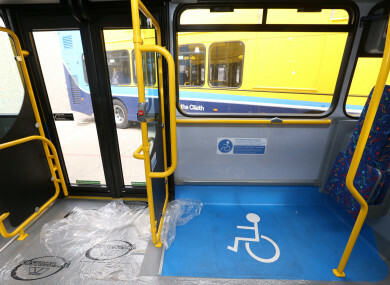 MINISTER FOR TRANSPORT Shane Ross will look at introducing fines for bus passengers if they refuse to fold up buggies to make space for wheelchair users. Last week, the Oireachtas Transport Committee was told that every day, people are refusing to fold up their prams on Dublin Bus to allow wheelchair users on board. So, today we’re asking: Should passengers who refuse to fold up buggies for wheelchair users on buses be fined? Email “Poll: Should people who refuse to fold up buggies for wheelchair users on buses be fined?”. Feedback on “Poll: Should people who refuse to fold up buggies for wheelchair users on buses be fined?”.